NAACP President Cornell William Brooks today condemned the South Carolina church shooting as "an act of racial terrorism,” adding that it "must be treated as such." "People of all faiths, of all traditions, every hue, every heritage, are quite simply shocked by this crime," Brooks said at a passionate news conference in downtown Charleston. He said the NAACP, which he runs from the organization’s Baltimore headquarters, is 106 years old and still committed to fighting injustice, including racial profiling. “We will not give in ... to the forces of hate,” Brooks said. The U.S. Justice Department is investigating the incident to determine whether federal charges, including a possible hate crime, are warranted. ”We are not saying it is a domestic terror investigation," a senior Justice Department official told ABC News today. "We are saying we aren’t ruling out any investigative avenue." Investigators plan to be meticulous, confiscating computers and phones to make sure Roof was not directed by any domestic terror group or anyone associated with the Ku Klux Klan or others. There's no evidence of that so far, two federal officials say. But “we will go wherever the evidence takes us,” they say. 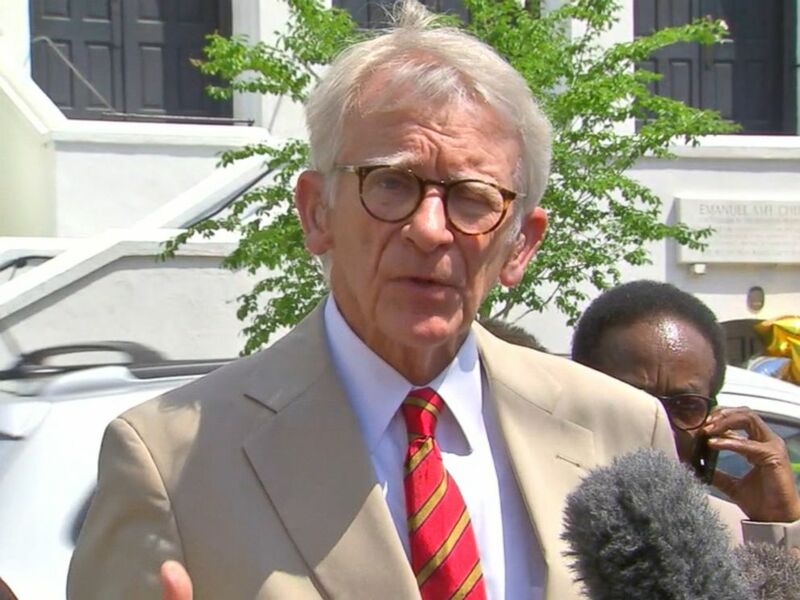 As for potential outcomes, Charleston Mayor Joseph P. Riley said in an earlier news conference today he has "no doubt" the death penalty will be sought in Dylann Roof's case, though he is personally "not a proponent of the death penalty." Charleston Mayor Joseph Riley at press conference on June 19, 2015. "If you're going to have a death penalty, then certainly this case would merit it," Riley told reporters today, though expressing his preference for prison time. "No doubt it will be sought, and I have no control over that," he said of state law that makes the death penalty an option. Riley, who has been widely admired during his 40 years as mayor, said he believes capital punishment "collectively, over time, adds to violence." "I think people who commit serious crimes should lose their freedom forever," Riley, 72, said at a news conference in Charleston. The mayor, a Democrat, also today touched on Charleston's inclusive community. "Our citizens are all races and backgrounds and all neighborhoods work very closely together," Riley said. "Mr. Roof did not live in Charleston. He didn't grow up here. He lived in a 100 mile away town and came here," Riley added. "So his actions are not in any way representative of this city or this community. They're representative of somebody who lived away and mind and heart was twisted that caused him to exact this horrible deed." Roof, 21, has been charged with nine counts of murder in the shooting deaths Wednesday at the predominantly black Emanuel African Methodist Episcopal Church in Charleston.